I am hoping to plan a long trip for this upcoming summer. I am looking to spend the whole summer out there Jun - Aug. Ideally the trip would be at least 4 weeks and no more than 12. I realize this is a long time and the logistics of food and supplies will be complicated. I am hoping to have a team of 4-6 people (6 ideally). 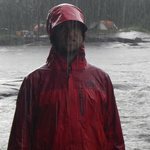 We all lead wilderness expeditions and are used to spending 30+ days in the woods, but we don't have the strongest white water skills since we do most of trips in The Boundary Waters. I realize most of the focus on this site seems to be big river paddles - I am kind of curious about whether or not a lake-hopping expedition would be possible? I realize there are no trails or anything, but that'd just make it more interesting. Anyway, I'd love any suggestions or ideas that folks have! A (mostly) lake hopping trip of that length is certainly possible but Quebec might not be the best choice. You might be better off looking for something in Northwestern Ontario (Wabakimi, Woodland Caribou/Atikaki or anything starting from the Pickle Lake / Red Lake area) or Northern Saskatchewan. In my experience the only difference between a one week and a four week trip is the amount of food needed, figure about 1kg per day per person so the difference between 1 and 4 weeks would be just an extra pack with 20kg/45lbs. I've done a couple of solo trips in recent years (30 / 46 days) on the Otoskwin/Attawapiskat and Albany Rivers, these rivers don't have a lot of difficult rapids and in both cases you can do several weeks in the headwaters areas which are mostly lake to lake. If you can find a copy of the Canoe Atlas Of The Little North you could find a route that would easily fill an entire Summer but it would almost certainly include some river running. While paddling that area I have met a number of camp groups that are out on 25 - 50 day trips, these groups are generally doing routes with fairly easy rapids and/or portaging the ones that above their skill/safety level, they do involve some very rough portaging between watersheds. There are a lot of options in northern Saskatchewan starting from Wollaston Lake or Reindeer Lake. If you can narrow down your areas of interest a bit people here can make some comments. Then there is North of 60 degrees in NWT/Nunavut, lots of options there starting from Yellowknife or northern AB/SK/MB. Have each read "From Reindeer Lake to Eskimo Point - Peter Kazaks and "Death on the Barrens George James Grinnell. The stresses from within are often more severe than the stresses from without. It sounds like roaming around Woodland Caribou PP in Ontario and Atikaki in Manitoba would work for you. Popular routes on the Gammon River and the Bloodvein would get you to where you could head further north to the Leyond etc. and make a big loop route. Do not worry about going upstream on those rivers. I second Martin's advice. There are many options in both WCPP and Atikaki though Atikaki would be more cheaper. I wouldn't shy away from rivers; especially pool and drop rivers like the Bloodvein where consequences can be less. The Bloodvein also has the advantage of having well used portages. Contact Paddle Canada and take an intro to moving water course. With just the intro course and a level head you can cover a lot of ground in the area. A really cool trip that would meet your 4 week minimum would be to start at Red Lake, Wallace Lake or Bloodvein Village and work your way through Atikaki to Family Lake (Little Grand Rapids) then down the Assinika & Poplar Rivers to Lake Winnipeg. Head up the lake to Norway house where you can either end your trip or continue it down the Hayes River to the Bay (another 15-25 days from Norway House). I know someone who took youths from Wallace Lake to Norway House and a little beyond this year. Sounds like it was quite the trip. He's also a photographer - https://www.instagram.com/wildhousemedia/ - if you look at the Instagram geotags you may see photos from the route (Gammon, Bloodvein, Sasaginnigak, Assinika, Poplar). I have to put in another plug for northern Saskatchewan. The possibilities are endless for a trip of whatever length you would like. You can just go with lakes or you can include some easy (or not so easy) river travel. You can wander about in the woodlands of Saskatchewan and/or travel up to the Barrens and back or over to Manitoba and back or.... Very few of the possibilites will be in parks. Very, very few people. This will give you a very small sample of possible trips in Saskatchewan. Also, have a look on Google Earth and mapping sites. Email Ric at Churchill River Canoe Outfitters. You should look at the 1200 km long Northern Forest Canoe Trail in New England (Old Forge, NY to fort Kent in Maine). In 2014 as 63 year-olds, we did it in 47 days, but were lucky with water levels and wind on Lake Champlain. Younger people take 40-44 days without racing. We thought it was great and it included 3 days in Quebec. We scored one star as our canoe cart broke repeatedly. Thanks everyone for the suggestions! I've got a lot of homework to review all the options. I really wish there was a version of google maps that showed which way the water flows. I suppose I should say - we aren't total novices to whitewater. We all have taken the intro paddle Canada course, and paddled at least some class 3 rapids in canoes. We'd just prefer routes that don't require paddling those sorts of rapids with constant regularity. Something where we'd get a lot of practice paddling WW would actually be kinda awesome. A couple of us did a 9-day trip on the Bloodvein, we could handle anything similar to that. Right now the Ungava Peninsula is the most popular region among my friends, which is why I posted this here to the Quebec section. I wonder about crossing the Ungava? Anyway to do it without paddling forever upstream, if time is not a concern? If I had that time I'd do the Natashquan River in Quebec - it probably fits the "massive trip" profile. Or you could take one more step up to EPIC (all caps) and do the Petite Mecatina, complete with a possible 6-day canyon portage. Whitewater abounds in both, for better or worse. There is an option for a trans-Ungava P crossing which doesn't require a great distance of upstream travel, unfortunately that relatively short distance involves a lot of uphill climbing! Start from Umiujaq on the Hudson Bay coast, paddle north and upstream on small rivers and portages to Lac Minto, cross giant Lac Minto and then downstream on the Leaf River to Ungava Bay. There are alternate routes leaving from the Leaf and then leading to Ungava. The Leaf is mostly strong current with Class II sections and a couple of III's, generally speaking no portages at all for hundreds of km's. Brad Bassi has an excellent summary online, well it used to be online but his site has been down for a while. I did find a link to it on the Wayback machine which seems to be intact. Here's an old thread about the Leaf, and a link to L&L's Ungava trips. A six day canyon portage! Yowch! That sounds more like backpacking with a boat than like a canoe trip! I have done a four mile portage with 650 feet of altitude gain, which was plenty. For Quebec definitely look at Lynette and Laco's website. If you end up in Ungava, before you go look for Ungava Gin. It’s made with Canadian Northern botanicals.